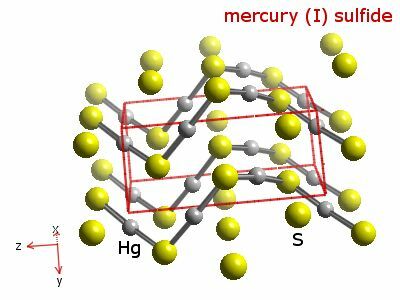 Mercury (Hg) can be found in crude oils ranging from very low levels of a few parts per billion (ppb) to parts per million (ppm). Hg can be present in a variety of states including liquid metal, inorganic salts and organo-metallic compounds. Most, but not all of these types of Hg compounds can release Hg upon heating. Unlike other heavy metals, Hg is volatile, and since it has a high vapor pressure it tends to be distributed in lighter products like naphtha and gas streams. Because of mercury’s unique properties, hydrotreating catalysts are generally not effective at retaining Hg on the catalyst surface. Since Hg tends to distribute into lighter fractions, the primary concern with Hg poisoning is naphtha hydrotreaters. However, under typical naphtha hydrotreating conditions any organically bound Hg will be converted to elemental Hg and will eventually work its way through the hydrotreater. There is the potential, however, for Hg poisoning to have an impact on the catalyst in diolefin saturation reactors which tend to operate at 200-400°F (93 -204°C) which is much lower than typical hydrotreating applications. The fact that mercury will generally pass through the hydrotreating catalyst beds raises concern about downstream equipment and downstream processing units. The typical naphtha hydrotreater tends to be a pretreater for a catalytic reformer. Mercury can be a strong poison for precious metal catalysts operating less than 400°F (204°C). Catalytic reformers and other processes utilizing precious metal catalysts often specify less than 5.0 ppb as the limit for mercury in feed due to amalgam formation between Hg and metals like platinum and palladium. Another serious issue related to mercury is the potential corrosion and embrittlement of equipment and process lines. Mercury can cause a number of problems through amalgamation, amalgam corrosion, liquid metal embrittlement and galvanic corrosion. Aluminum, aluminum alloys, copper alloys and some steels are subject to liquid metal embrittlement and amalgam corrosion. There can also be problems due to the precipitation of mercury sulfide (HgS), which can cause fouling and plugging of equipment. Mercury has been observed to collect at low points in piping and equipment and drop out during draining or when pipes are opened up. This can cause issues relating to Hg exposure of personnel during maintenance. It is a good idea to remove the mercury upstream of any hydrotreaters in order to ensure that mercury does not show up in downstream equipment or hydrotreated products. To facilitate that, it is important to know the Hg content of crude oil coming into the refinery. This also helps to monitor worker exposure to Hg to ensure a safe workplace and helps with proper waste management as most of the Hg leaving a refinery is contained in waste streams. Joanne Deady is Vice President, Marketing, Advanced Refining Technologies (ART). Deady also serves as Managing Editor for the Grace Catalyst Technologies (www.grace.com or www.e-catalysts.com) and ART publication, Catalagram, which focuses on refinery catalysis, processing and operations (joanne.deady@grace.com).